In the book, In the Domain of Mediumship, inspired by Andre Luiz and psychographed by Francisco C. Xavier, also known as Chico, there is a scene where a woman, Anesia, has asked for help from the Spiritual world. She is worried that her husband has found another woman. During her sleep, when she is out of her body, a team of spirits, led by Aulus, accompanies Anesia to where Jovino has met his girlfriend. Anesia sees the entire scene of Jovino drinking and showing displays of affection with the other woman. Read More. In the book Liberation, by Chico Xavier, our beloved spirit author Andre Luiz, was impressed by the work of a medium, Dona Isaura Silva. When she was working, she displayed beautiful radiations. After she finished the sessions, she was surrounded by a dark gray substance. Read More. In the book, In the Domain of Mediumship, inspired by Andre Luiz and psychographed by Francisco C. Xavier, also known as Chico, there is a scene where a woman, Anesia, has asked for help from the Spiritual world. She is worried that her husband has found another woman. During her sleep, when she is out of her body, a team of spirits, led by Aulus, accompanies Anesia to where Jovino has met his girlfriend. Anesia sees the entire scene of Jovino drinking and showing displays of affection with the other woman. The conversation between them continued in a moving expressive tone. “Treason by whom?” asked Aulus. This is why I love books by Andre Luiz, the unexpected lesson, the Spiritist Doctrine applied to the ultimate level. Not just unconditional love, but a constructive love. A love where each of us has the responsibility to guide, not just strangers, but our closest relations, people who have the capacity to hurt us deeply. Who said being a Spiritist was easy? Learn more about how we should improve in each life and what is our goal as we progress toward a higher level, read my book, The Case for Reincarnation – Your Path to Perfection. Your will discover exactly why we are on earth and how the spirit world (with our help) plan out our trials in life. 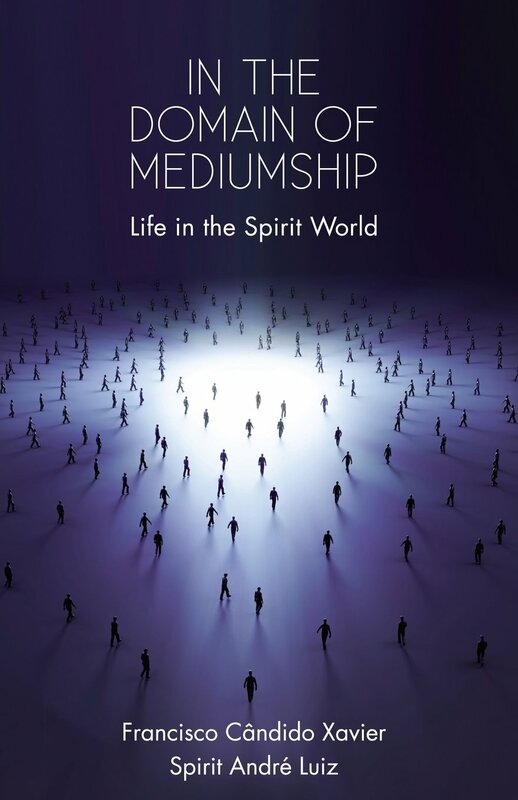 Another book which recounts my own experiences with Spiritism and how they gently and sometimes no-so-gently pushed me on my current path is 7 Tenets of Spiritism – How They Impact Your Daily Life. Discover for yourself the signs that appear to you in your life that help guide you through your trials.